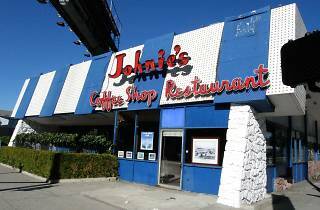 Don’t be deceived by the flashing lights along the roof of this Space Age building because Johnie’s has been closed for over a decade. As enticing as the blinking facade looks, the abandoned coffee shop is more likely to serve pickup shots than pick-me-ups these days as it's been dedicated almost entirely to film shoots. 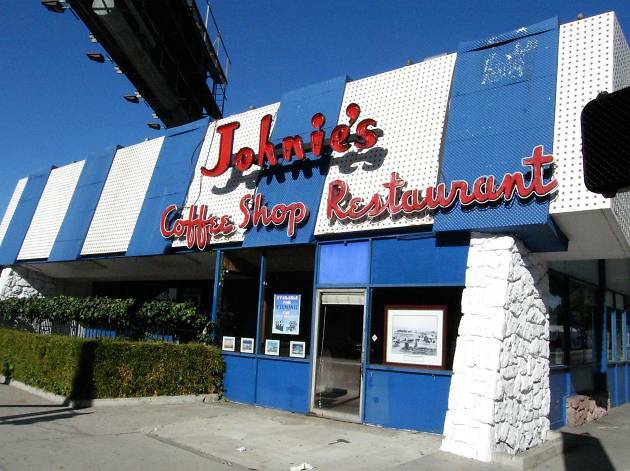 Even without a steady tenant, the holdout from the mid-'50s building boom on Wilshire isn't going anywhere; its seminal Googie design has landed it LA's list of historical landmarks.